Vitamix’s newest blender, the Vitamix 780, is the first model to feature touchscreen controls, also known as capacitive touch. It belongs to the G-Series (Next Gen) line of blenders. This new control configuration is a significant change from the old switch and dial setup found on every other household model. But does this new technology equal smarter, easier blending for you? We’ll take a look and find out. Design: As a member of the Next Generation family, the 780 combines sleek design with the new flat touchscreen controls. Recipe Book: The included recipe book contains over 100 recipes ideas with beautiful photography. It will provide plenty of inspiration to get you started. Warranty: Seven years of warranty coverage protects you from manufacturing defects and standard wear and tear. Controls: The new touchscreen interface comes with five preprogrammed settings for common recipes preparations. This means you can prepare your favorite recipes with just one touch. Container: The new, 64-ounce low-profile container is big enough to handle blending batches for the whole family, yet small enough to fit under most kitchen cabinets. Price: The $719 price tag makes this Vitamix’s most expensive household model ever. Controls: The touchscreen can be a bit temperamental at times. Also, the icons for the pre-programmed settings take some time to learn. The Vitamix 780 features the same 2.2-peak horsepower motor as other Vitamix models in the Next Generation line. 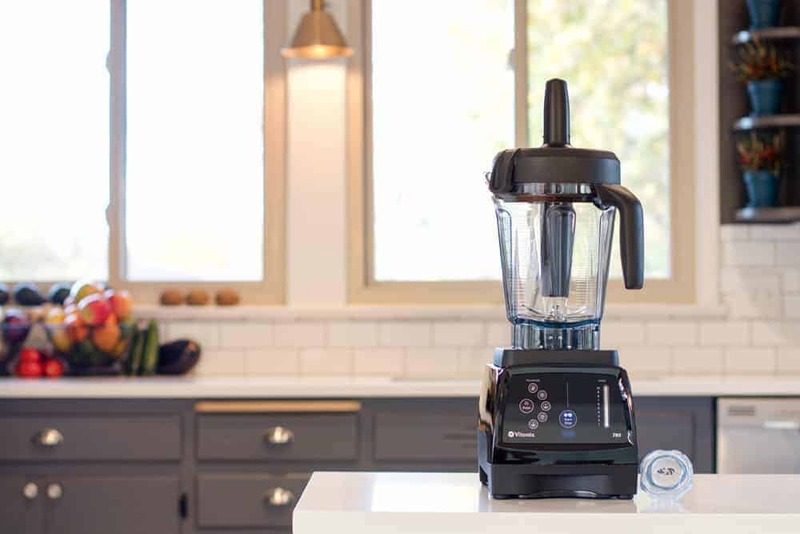 While this certainly isn’t as powerful as the 3.8-peak horsepower motor found in the Blendtec Designer 725, it is more than enough to blend up your morning smoothie or evening soup. Like other Vitamix models, the Vitamix 780 can heat up cold or room temperature ingredients to a steamy hot soup using only the friction heat created by the spinning blades. This process typically lasts about 5 minutes and can be a bit noisy, so it’s a good thing that the 780 comes with pre-programmed settings that allow you to start the blender, and then leave the room to continue doing other things. 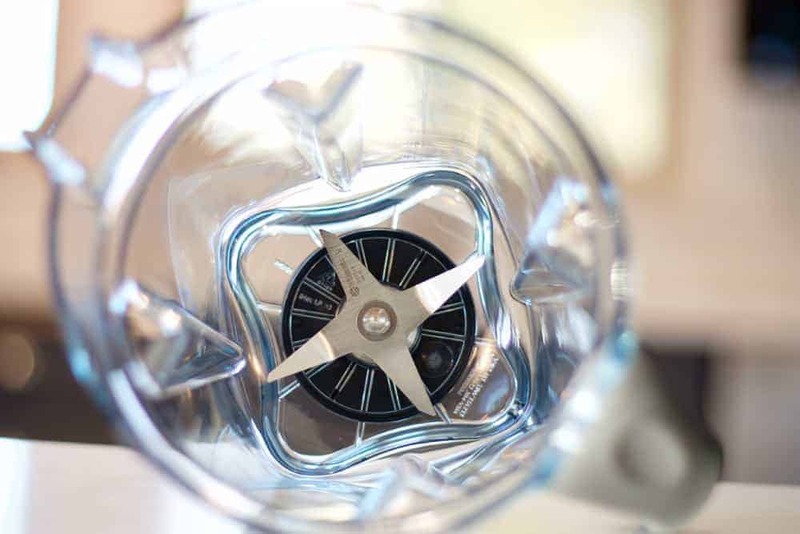 The pre-programmed settings will automatically adjust the speed and turn the Vitamix off at the end of the cycle. While the Vitamix 780 does make a bunch of noise, it does seem a bit quieter than other Next Generation models we’ve reviewed. The Vitamix 7500 and Professional Series 300 both seemed to be a bit louder when compared side-by-side with the 780. There’s no mention of extra sound-dampening features, but it is likely that the touchscreen glass face helps to reduce some of the noise. The Vitamix 780 comes packaged in a beautifully designed box, shown below. Inside this box, you’ll first find the hardcover recipe book and a small quick start guide. The recipe book contains over 100 recipes from a variety of different categories: drinks, dips, soups, desserts, and more. It also includes a variety of tips and tricks that will help new owners to get the most out of their new Vitamix. 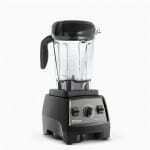 Next, like other Next Generation Vitamix blenders, the 780 comes with the newer, wider 64-ounce container. The more modern, low-profile container will likely fit under most standard-height kitchen cabinets, so you can store it together as one piece. It’s also important to note that containers for both the Next Generation and Classic Series Vitamix blenders are interchangeable. So, if you would like to have a smaller container for single portions, like the 32-ounce or 48-ounce container, it will fit on the Vitamix 780 motor base. The included 64-ounce container comes paired with the patented Vitamix tamper, a tool used to push ingredients down into the blades while blending, so you won’t need to turn off the motor and scrape or push ingredients off the walls of the container and down into the blades. This is particularly useful when blending up thicker recipes, like homemade peanut butter, hummus, or frozen desserts. The biggest change with the Vitamix 780 is the all new, touchscreen control panel. This type of control setup is the first-of-its-kind for Vitamix and a significant shift from the old switch and dial controls that Vitamix has used for the past 45+ years. 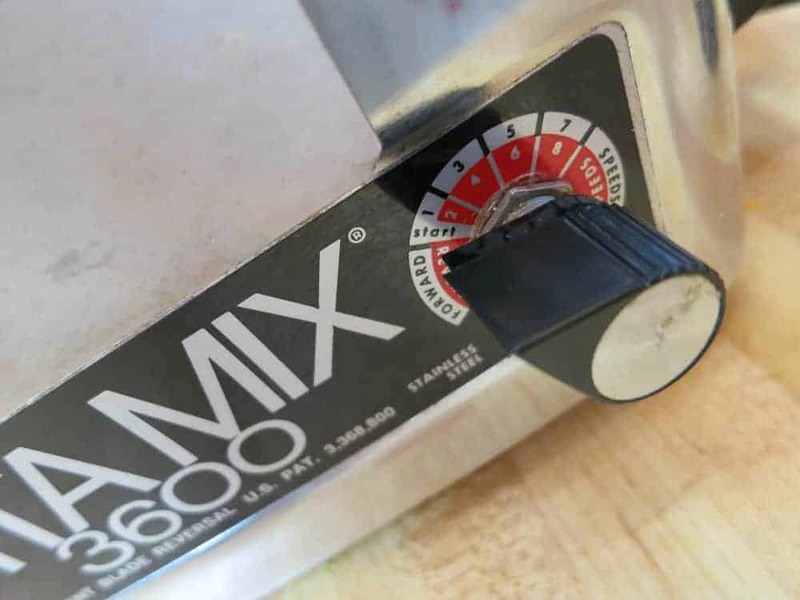 Here’s a picture of the Vitamix 3600 (from 1969) showing the dial controls from Robb’s Homemade Life’s YouTube video – Vita-Mix review 10 reasons I like my Vita-Mix 3600 and 2 I don’t. 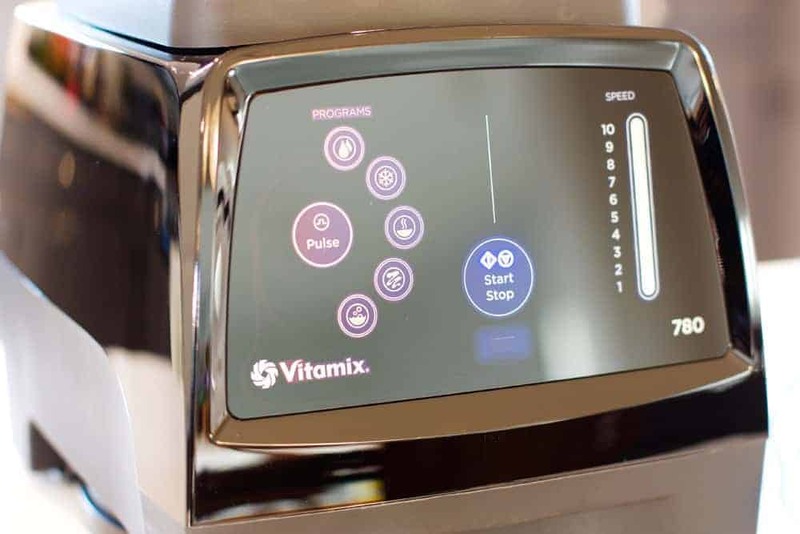 The new controls will take some getting used to if you’ve owned a Vitamix before. Since they have decided to move things around a bit, the new controls take some getting used to. Unlike my older Vitamix, it’s harder to use with my eyes closed while I’m half asleep. The last feature I’d like to touch on here is the warranty. 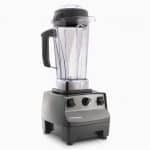 Like all new Next Generation Vitamix blenders sold directly from the Vitamix, the Vitamix 780 comes with a full, seven years of warranty coverage. If anything should break or wear out during that time, Vitamix will repair or replace it at no cost. They even pay for shipping both ways. It’s hard to find a company that believes in their product so much nowadays. The new Vitamix 780 will look great in any high-end kitchen. The sleek lines of the Next Generation design paired with the new touchscreen give it a clean, modern look. One unfortunate thing to note is that the 780 is only available in two colors: black and red. It would be great to see a few more color options here. While the touchscreen is a great addition for the look, it misses a few marks in the usability category. The icons for the pre-programmed settings are a bit confusing, and anyone without the decoder ring will be left wondering what to select to achieve their desired result. In case you’re wondering, the settings are smoothie, frozen dessert, soup, pureé, and cleaning. Also, in my experience, the touchscreen is a bit temperamental. Several times, selecting and starting a preset required multiple touches, and the variable speed slider would sometimes stop at speed seven instead of the intended speed ten. A few positive things to note about the touchscreen is that it works quite well when hands are wet or greasy, and cleanup requires just a damp cloth to wipe clean. The easy cleanup is a welcomed change from older models, which required you to remove the knob and clean around the tight crevices of the switches. Finally, one thing that seems to be missing from the digital touchscreen is a timer of some sort. It would be incredibly helpful to see how long a recipe has been blending. I found myself always looking at the clock when making soup to ensure it hadn’t been processing for too long. Even with the few negatives outlined above, it’s hard to give the Vitamix 780 anything less than five stars. This blender is obviously the top-of-the-line model from Vitamix. But, it has a price tag to match and the touchscreen needs some improvement. But, as the saying goes, you get what you pay for, and if you can afford to splurge for this model, by all means, do it! The 780 is an excellent combination of Vitamix’s proven blending technology and new touchscreen technology designed to make your time in the kitchen just a little bit easier. Thanks for the review. 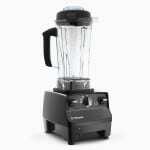 I just picked up a certified refurbished 780 from Vitamix for $317 shipped. If I buy a Vitamix (brand new and never registered) let’s say on eBay from someone who got it as a gift and doesn’t have a receipt… How does Vitamix register a warranty? It is 7 years as well? If yes, from what day? The day of purchase on eBay? 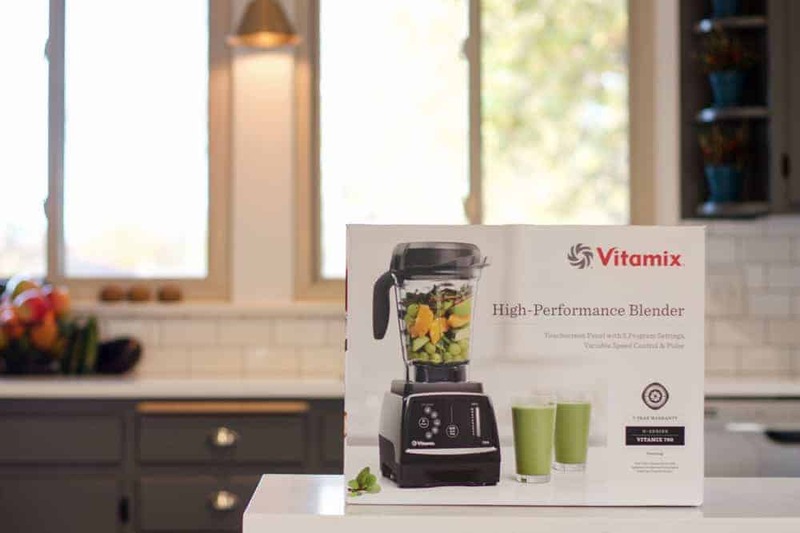 If the product was purchased online from the Vitamix website or by calling their customer service team, Vitamix registers the warranty at the time of purchase. In this case, the warranty might be a little less than 7 years, depending on when they originally purchased the product. If the Vitamix you’re buying hasn’t been registered, you’ll just need to register it online via their registration form. The form asks for the date of purchase, so just fill in the date you purchased it on eBay and the warranty will start from then.